Gold is a standard in the world of picture frames, elevating your art and home decor as a symbol of precious value and distinguished importance. Treat your art to the refined beauty of a gold-colored wood picture frame. This classic gold picture frame features a linear profile design in the American Federal style. The profile width is ¾”, and the rabbet depth is 11/16”, making this classic gold picture frame appropriate for both matted works on paper and canvases on stretcher bar. This elegant gold cosmopolitan wood picture frame by Omega Moulding is sophisticated in its simplicity and versatile in its application as a tabletop frame or wall hanging. The profile width is 1 3/16”, and the rabbet depth is 3/8”. The profile width is 2”, and features a 5/8” rabbet depth, making this traditional gold picture frame ideal for both canvas and paper artworks. The profile starts at the inner lip with a beveled protrusion that becomes rounded over, which leads to a flat recessed body section, followed by a series of steps up that lead to a ridge along the outside edge of the profile. The finish throughout features a warm aged gold look. If you need a large beautiful gold picture frame be sure to at least analyze this one. It is a great price point for its size. V666 is an elegant pre-modern picture frame moulding with a warm gold finish. The inner area of the profile surface has a 1”wide flat space, adjoining the outer area which protrudes upward in a cylindrical fashion that accentuates the visual weight and thickness of the moulding. The warm gold is a mid-tone, as the finish is made to look aged and distressed, with small intentional markings for effect. The gold finish sits on a gesso base, which has been applied to a wood substrate. Gold antique finish plein air picture frame. This gorgeous, traditional gold plain air style wood picture frame features a triple ridge along the inner lip, followed by a recessed flat panel shape that leads to a concave cylindrical crescent moon scoop along the outer edge, which is also surrounded by additional ridges on each side of the scoop. The profile width is 3”, and the rabbet depth is 5/8”. Medium gold flat panel picture frame. Super frame for plein air paintings. This flat panel gold plein aire picture frame features a duck bill inner lip with a rounded protrusion to accentuate the containment of the art border, followed by a 1 ¾” wide flat span, which leads to a curve ascending up to a broad rounded ridge along the outer edge. The gold finish sits on a gesso base over a wood substrate. This 3 ½” wide pale gold wood picture frame is perfect for original fine art paintings in the plein air tradition, especially landscapes of fields, mountains, river scenes, and vast horizons. The rabbet depth is a mere ½”, but don’t let that deter you from framing deeper canvases. Medium gold flat panel picture frame with a black back. Super frame for plein air paintings. This gorgeous contemporary gold picture frame offers a cosmopolitan look that is suited to many styles of art from various cultures throughout the world. The profile width is 2 1/8” wide, and the rabbet depth is 1/2”. The gold finish sits on a gesso base that adheres to a wood substrate. This yellow gold picture frame offers a bright, bold, and substantial look that is ideal for traditional oil paintings and acrylic paintings on stretched canvas or panels. The width of this profile is 2”, and the rabbet depth is 1 1/2", making this frame deep enough to accommodate most materials, including stretched canvases. Tall gold picture frame. Great for your deep canvas art. It has a larger then normal coverage so it will be work super on large art. This 2 ½” wide gold picture frame moulding features a decorative, ornamental decoration near a flat inner lip, on an otherwise flat, rectangular body. The crevices in the ornamental pattern feature a gray wash to simulate age, and the finish on the flat gold body offers distressing in the form of black, brush-like scratch marks to add character. Gold Frame With A Silver Front Edge. This textured silver and gold wood picture frame is made in Itlay and offers a substantial look for home settings such as living spaces with French, regal or eclectic appeal. The profile is 2 3/8” wide, with a 7/8” rabbet depth, perfect for a stretched canvas painting of floral landscapes, or matted home décor prints. This gold picture frame features a slight and subtle scoop on a 2 ½” wide wooden profile. The rabbet depth is 7/16”, ideal for matted works on paper, beveled mirrors, acrylic and oil paintings on canvas board, and other thin materials. This is a wide, antique looking gold picture frame with a stylized floral design pattern. It is seen as elegant, romantic, as well as whimsical. It has a delicate feel to it, but is in no way dainty. It measures 2 ¾” wide, with a 1 1/4” design panel. The outer height is 1 ¾”, the side of the moulding is the same consistent antiqued-gold with some contour. It has a definite folk-art influence such as Mexican, with its pierced look. 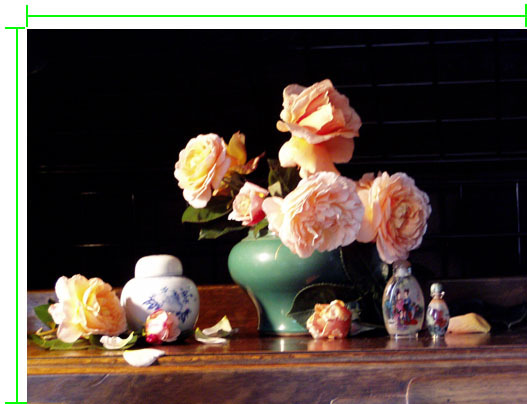 It can also work well with Middle-Eastern art, or Rococo- influenced art. This mottled bronze and gold picture frame features a slight leafing pattern across a flat body shape, and edges that are textured to simulate age. The inner lip has a deckled edge relief, and the outer edge features a mottled bevel that drops off to a black sidewall. The profile width is 2 3/16”, and the rabbet depth is 5/8”. This simple, economical, light gold picture frame features a vein pattern over a warm, transparent brown wash that sits on a metallic silver base. The profile shape is flat and rectangular, with a 1” width. This standard profile is ideal to meet your budget picture framing needs. This economical gold wood picture frame offers an affordable option, especially for artists and decorators in need of wholesale prices in a flat, torn gold finish. The profile width is 1” and the rabbet depth is 9/16”, making the profile shape ideal for matted works on paper. This thin, traditional, distressed gold picture frame features a small step on the inner lip, and a flat profile face. The finish is a warm gold color with subtle black scratch marks to simulate an aged look. The profile is ¾” wide, with a ½” rabbet depth. This gold picture frame is ideal for small matted works on paper due to the thin size, along with portraits, posters, fine art prints, and original paintings on thin board such as canvas board or rigid hardboard panel. Gold picture frame with red scratching, dark brown sides, red undertones, slight hammered face. This shiny and slightly hammered gold wood picture frame offers a simple and fairly deep profile shape to accommodate art up to 1 ½” thick. The bright gold face reveals red undertones, while the side wall offers a dark plum brown finish. The overall width of this gold picture frame is ¾”. This intricate, luxurious, ornate gold picture frame features a gorgeous, decorative leaf pattern ornamentation that complements formal interior design styles such as Georgian, English Country, French, and Regal aesthetics. The profile width of this ornate gold picture frame is 2”, and the rabbet depth is 5/8”. This beautiful baroque gold picture frame features a relief petal pattern in stamped gesso over a wood substrate. A gray wash sits in the crevices over a brown layer, while gold shines through on all relief protrusions to simulate age and wear. 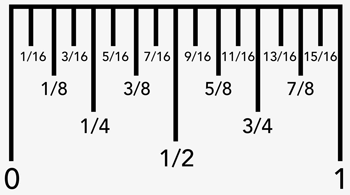 The profile width is 2 ¾”, and the rabbet depth is 5/8”. This ornate gold picture frame offers a flowery design aesthetic that is ideal in a Georgian setting, and features a dusty pink gray wash in the crevices of an embossed pattern that covers the span of the wood substrate. The profile width is 3 ½” and the rabbet depth is ½”. This dark, ornate gold picture frame features a highly detailed design on a deep scoop profile with a wood substrate. The profile width is 2 3/8”, and the rabbet depth is ½”, making this dark gold picture frame ideal for matted prints, works on paper, and other thin items such as canvas boards, hardboard panels, and mirrors. This nearly 4” wide, decorative gold and copper, French Country style wood picture frame features a unique embossed pattern along both the inside and outside edges of the profile, with a slight convex scoop on the smooth center section of the profile. V640 is a wide and substantial gold moulding with a concave scoop, featuring a decorative embossed pattern and a textured gold finish that emulates the look of gilt wax. It features a 1 ¾” outer edge depth, and a ¾” rabbet depth, perfect for original paintings on stretched canvas, mirrors, and unique decorative art. This scooped gold frame profile features a decorative embossed pattern that is stamped on a gesso base, then finished with multiple variations of gold color that have the look of aged gilt cream. All of this sits on a wood substrate that is 1 ¾” wide and 1” deep along the outer edge. The rabbet depth is ½”. This scooped golden-silver wood picture frame by Larson Juhl is inspired by the Spanish Renaissance. The profile is 1 ¾” wide and the rabbet depth is ½”, making this Larson Juhl silver wood picture frame ideal for matted artworks on paper and other thin items. Limited stock, moulding has been discontinued. Ornate picture frame with undulating petal pattern, medium gold with rust colored highlights, green gray wash. The rabbet depth of this gold scooped wood picture frame is deep enough to accommodate a ¾” canvas with only 1/8” offset in the back. Otherwise, this frame is ideal for matted items on paper, such as prints, posters, watercolor paintings, drawings, ink wash paintings, collage, and pastels, along with beveled mirrors, needlework, and other thin items. Gold fluted reverse scoop picture frame from Omega Frames. This ornate gold fluted wood picture frame by Omega Moulding offers a regal design style perfect for settings where luxurious and opulent warm colors meet decadent patterns and decorative detailing. The profile width is 2”, and the rabbet depth is 5/8”. Dark antique gold picture frame with slight red highlights and slate gray wash & an ornate undulating petal pattern. Limited stock, moulding has been discontinued. Dark antique gold picture frame with slight red highlights and gray wash & an ornate undulating petal pattern. Dark gold picture frame with a subtle blue gray wash & delicate embossed leaf pattern. Dark gold picture frame with dark bronze highlights, heavy green wash on an embossed pattern. The copper-gold picture frame profile of this ornate frame starts with a steep bevel along the inner lip, ending with a slight ridge and then a flat area about 3/16” wide. The body of the profile then protrudes upward with the look of flower petal curves in a distinct decorative ornamentation pattern. The crevices throughout the ornamentation feature a cool beige wash that has the appearance of oxidation on copper. This decorative gold cross picture frame offers a medieval byzantine look over a wood substrate that features a slight variation on the historic Celtic Cross of Cuthbert. The distressed gold finish and gray wash in the crevices surrounding the cross pattern give this frame an aged look. The profile is 1 3/16” wide, and the rabbet depth is ½”. The decorative ornamentation of this narrow gold picture frame is reminiscent of the details in Elizabethan design and architecture. The ornament pattern itself is similar to the look of ballet slippers, and complements themes of Shakespearean theatre and other performing arts such as ballet event posters. The profile width is 9/16”, and the rabbet depth is also 9/16”, making this soft gold picture frame ideal for small to medium-sized matted works on paper, such as watercolor paintings, drawings and sketches, fine art prints, and posters. The profile width is 1 3/8”, and starts at the inner lip with a small gold bead with gray wash in the surrounding crevices to simulate age. From there, a slight ridge of pale gold accentuates a metallic reflection, followed by a concave scoop that ascends to a decorative gold pattern that is reminiscent of a vine or perhaps a fishing hook. The rabbet depth is 7/16”. Gold & copper picture frame with dark highlights & fine light gray wash with an embossed delicate pattern. This decorative bright gold wood picture frame profile is 1” wide, and features a 9/16” rabbet depth, while offering an array of aesthetic features that distinguish it from other gold frames in our product selection. Dark gold picture frame with a black/gray wash and a heavy embossed pattern. The shape of the profile on this aged gold picture frame is a curvy scoop, offering a standard or traditional shape to emphasize reflected light. The profile width is 1 1/8”, and the rabbet depth is 3/8”. This antique-looking, distressed gold picture frame features a gold beaded lip, followed by a scoop up to the outer edge. The finish is a duo-tone of gold and brown over a gesso base, with markings along the outer edge to simulate distress.The profile width of this distressed gold picture frame is 1 1/8”, and the rabbet depth is 3/8”, making this frame profile ideal for matted works on paper and other thin items such as canvas boards and rigid hardboard panels.